Irish label Acroplane Recordings drop a label showcase session. We’ve music from Nosaj Thing, Killawatts, Modeselektor, Platinum Mules, Si Begg, Dead Sound. After 2 years of broadcasting with Brap FM, the time has come to move on. 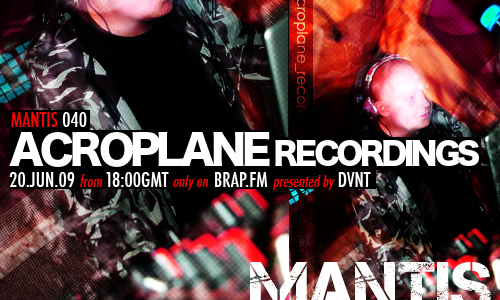 For our 40th and final show with Brap we’ve have Acroplane Recordings stepping up to the showcase. Paul Acroplane aka DJ Acroplane Recordings has been knocking about Ireland djing at clubs, festivals and free parties for about 10 years, having played alongside artists as diverse as Autechre, Scorn, Si Begg, Clark, Boxcutter, Luke Vibert, DJ/Rupture, Surgeon, King Cannibal, Kevin Saunderson, Ebola, Yee-King, Remarc, Aaron Spectre and Bong-Ra, to name but a few. He was the main man behind Belfast’s now legendary Diston events, and now heads up the city’s Acroplane Movement shows in venues of all shapes and sizes. 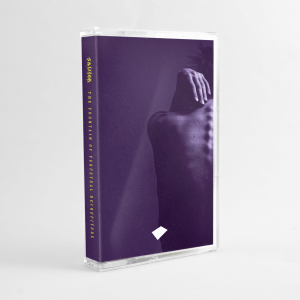 Not content with that Paul started up Acroplane Recordings, a free netlabel hosting music from the likes of Boxcutter, Somatic Responses, Chevron, Mothboy, Mad EP, Ebola, Igorrr, Space Dimension Controller, Lackluster, wAgAwAgA, Red Box Recorder and Vertical67, among dozens of others. Acroplane Recordings has a diverse selection of sound on offer on the label, providing consistently high quality releases to rival any of what the big boy electronic labels can offer. For free. You cannot argue with that.